Kaatru Veliyidai FIRST LOOK Poster: The Tamil Romantic fame director, Mani Ratnam’s next romantic film is Kaatru Veiliyidai. This romantic Tamil film will star Karthi and Aditi Rao Hydari in lead roles. 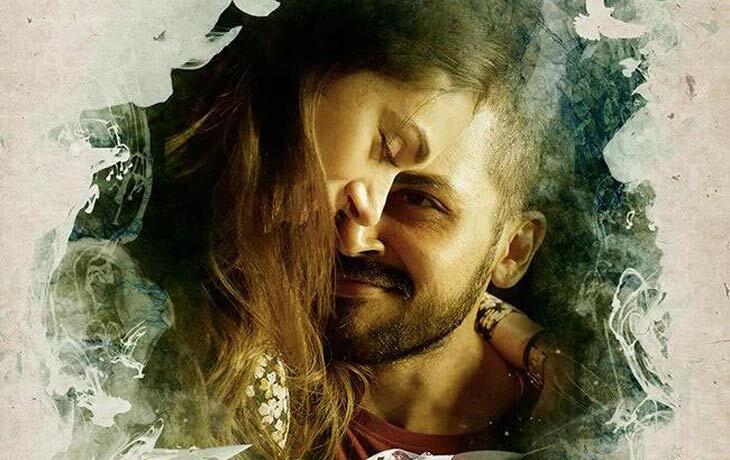 The Kaatru Veliyidai is a romantic story. The Tamil lyric writer Vairamuthu reveals this secret via AR Rahman’s last periscope.tv chatting along with Vairamuthu and Maniratnam. Also, the poster shows as it is the Romantic movie. So, the music composer of this film is AR Rahman and the lyrics by Vairamuthu. Ravi Varman is the Cinematographer for Kaatru Veliyidai. Sharmishta Roy is the art director. The producer Ratnam took his part as Producer of this film under his Madras Talkies banner. Aditi has appeared in the Tamil Cinema as a debut on Srirangam. Whereas, she tweeted about this Tamil film working on her Twitter account recently. The shooting of this film, Kaatru Veliyidai will be started on July 8, 2016. The film will be released in three languages such as Tamil, Telugu, and Malayalam. The shot began with all this language.